For what it is it's quite expensive, but obviously the market for products such as these is quite limited and as a consequence manufacturers can name their price. Quality and finish are best described as 'agricultural' and it's appearance is reminiscent of cheap MTB levers from the 80's/90's however it works and hopefully will last a few years. Yes this will operate both brakes. Hi SJS, I am looking to change from drop to flat bars on a dawes super galaxy 1990s. it has cantis. It has a double cable into one lever and the hub brake in the other. would a set of these work? 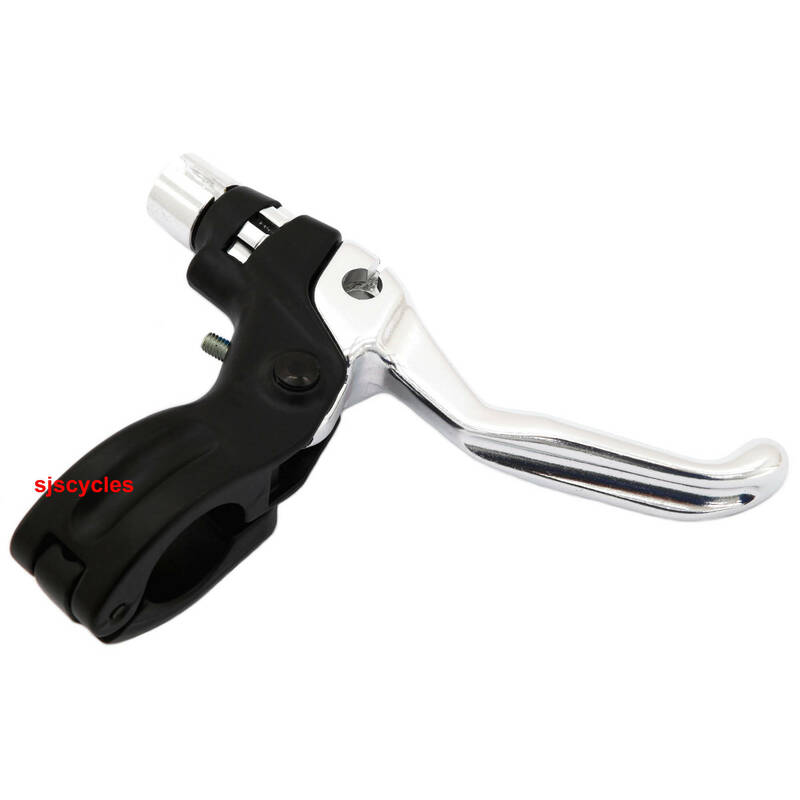 Although these levers are a step in the right direction for what you're looking for, these levers are not compatible with cantilever brakes as they pull too much cable. These levers are designed to be used with V-brakes only. This leaves you with 3 main options; you can fit a Paul Duplex double lever SJSC part 27276 which can be converted between the different cable pulls, you can switch to V-brakes all round (which are more powerful than cantilever brakes anyway) allowing you to use one of these levers or finally you could run a set of standard flat bar road/cantilever brake levers and fit a cable doubler system to split it into two separate cables like the Problem Solvers 1.2 which is SJSC part 18243. Unfortunately not, this brake lever has a cable pull suited to use with V-brakes.